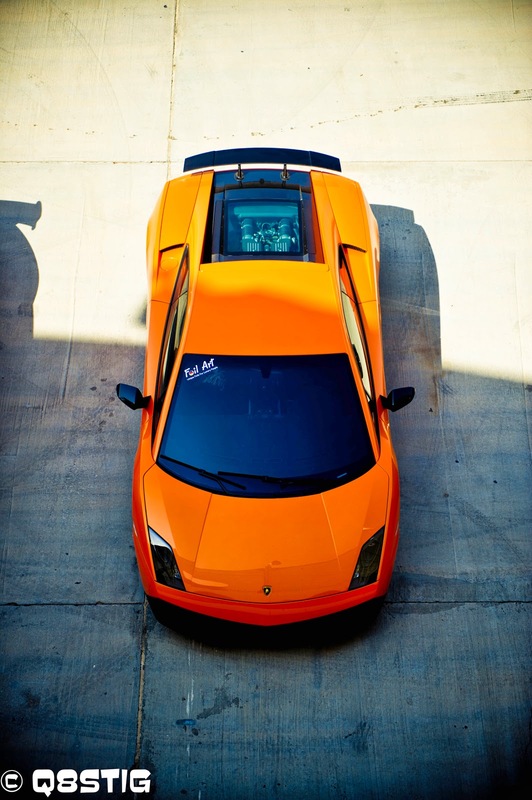 Lamborghini LP570 Superleggera.. Super Light in Italian. I have seen a SuperLeggera Pizza in Pizza Express a year a go when they had the Italian Festival which Super Light Pizza for those who count Calories! But for freaks like me.. I care about the weight of the car, especially when it goes fast around corners like this car. With one of the best four wheel drive systems developed by Audi and Lamborghini together, this car can sprint from 0-100 in 3.5 secs. which amazing if you considered this car does not feature those double clutch transmissions you see in Ferraris or Porsches. No other car maker can sell a car in Orange except Lamborghini, because it is Italian and outrageous. 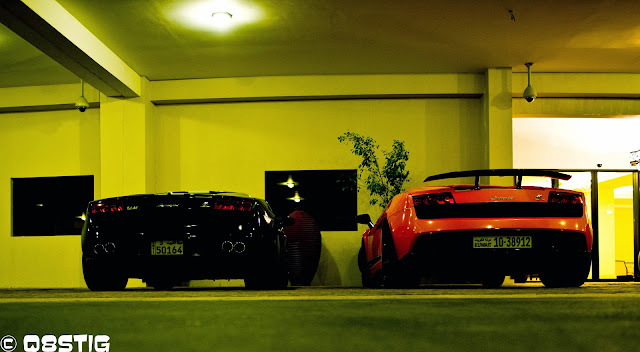 They are more rare and scare you more than Ferraris. with all do respect to Ferrari and women!! I can see a woman driving a Ferrari, But not a Lambo.. I did.. but not as much as the Ferraris. I was invited for a few laps in the passenger seat, luckily the owner is a good driver and knows the car very well. It was so fast and with Corsa tires and four wheel drive, accelerating was not a problem at all from any given speed and with all the aids off! But the power that goes to the front wheel gives the feeling of some understeer which is normal if you're flooring the throttle all the way. 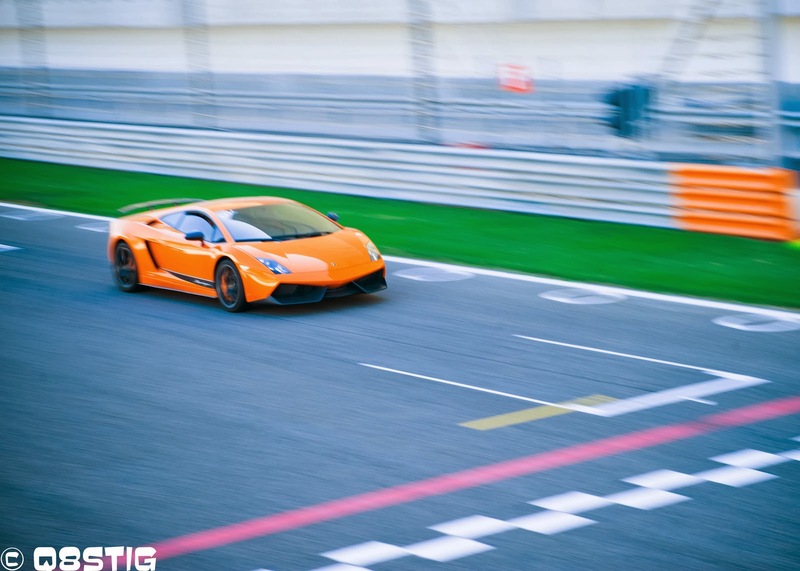 This specific car is the only.. ONLY SuperLeggera that is equipped with the Trofeo Exhaust system. as they don't sell it unless it is for racing. which gives the car a special tone while lapping the track and makes you wait for it to down shift. The owner also fitted the Ceramic brakes to cope with the extra heat. Always been a big fan of Lamborghinis; and to be perfectly honest, I never really had a poster of a Ferrari up on my wall... only the Countach and Diablo so I guess that says a lot about the emotions Lambos can stir up.